We have been diving for over a decade in Australia and there is nothing quite like it. To slowly slip beneath the surface of our amazing blue planet and witness, first hand, the labyrinth of sea creatures in their complex ecosystems is pure privilege. To not only observe, but to become truly one with this alien world is nothing short of spectacular. As one portion of the 400,000 scuba divers in NSW, we are deeply concerned that the O’Farrell Government may be about to jeopardise the future and enjoyment of our sport by reducing protection for marine life and opening marine sanctuary zones to fishing from headlands and beaches. I’m writing to ask you to do something about it. When diving, not only do we have incredible encounters and witness amazing sea creatures up close and personal, but we also witness first-hand the impacts of fishing. Locally in Manly, we see many endangered Grey Nurse sharks, juvenile Dusky Whaler sharks and rays with stainless hooks attached. In all areas where fishing is allowed, we see it’s impacts and find disguarded hooks and lines along the seabed and in the kelp. This is something that only divers witness first hand. We regularly return from local dives with a large bundle of fishing tackle wound up in my BCD pocket. 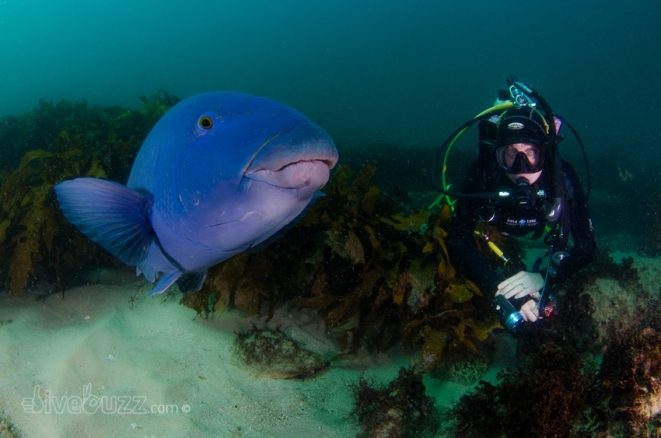 Along NSW’s coastal waters where most diving occurs, just 4% is protected. Put another way, that is just 4% of the coastline where you can dive and not come across disguarded fishing tackle or see it’s impacts. If divers are the ‘bushwalkers of the sea’ then these are our National Parks. Marine protected sanctuaries give plants and animals a chance to recover and rebuild, and divers get to enjoy the fantastic experience of seeing marine life in its natural state, completely untouched by human intervention. Marine protected areas work, there is no doubt in this fact, and we lay witness to this up and down the NSW coast each time we dive. However, we understand that your government may soon decide to reduce even this small amount of protection by permanently allowing recreational fishing from the shore in protected sanctuaries. Such a move is bound to result in less fish, less diversity of marine life, more disguarded fishing tackle, and a poorer experience for scuba divers who invest considerable time and money in the dive industry and regional economies. Recreational fishers already have access to 96% of our waters which abundantly caters for their needs. As a diver I urge you to ensure that the NSW government also provides for my recreational needs by guaranteeing my rights to access areas still in their pristine, natural state, with no impacts from human activity, including fishing. Without any no-take zones, you are losing the last few remaining areas that are untouched by human activity. Not only that, but you are also losing a base-line of small protected zones by which other areas, where fishing is allowed, can be compared to and studied by future generations. Once this is impacted by human intervention including fishing, the valuable baseline data is lost. We only have one chance. What do you want as your legacy? The generation that gave fishing an access-all-areas policy and the known, and unknown, consequences that this will have? Or the generation that secured small no-take zones, that will be left by this generation in exactly the same state as it is now, or arguably even better, by protecting no-take zones for future generations to study, enjoy and experience. DiveBuzz asks that you do whatever is necessary to ensure that your government maintains the current levels of protection for marine life in marine sanctuary zones. Just 4% of the NSW coastline is protected in marine sanctuaries. Premier Barry O’Farrell is considering removing this protection by allowing line fishing from the shore in marine sanctuaries. Pulling a few fish in from the shore might seem harmless, but the total catch of fish by recreational fishers in NSW is the equivalent of 30% of the commercial catch. Almost 60% of all recreational fishing in NSW happens from the shore, so allowing fishing there will have a big impact on marine life. 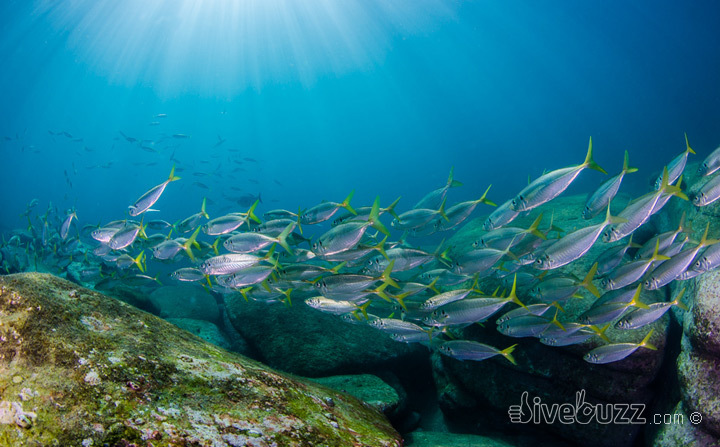 In every poll conducted in NSW over the past 5 years on the issue of marine protection, support for marine sanctuaries among the general public and fishers alike has averaged between 70 and 90% support. Marine sanctuaries that extend right to the shore are backed by Australia’s peak marine science organisations and are scientifically proven to protect biodiversity and restore fish stocks. To see how you can help back the campaign by following the link below.